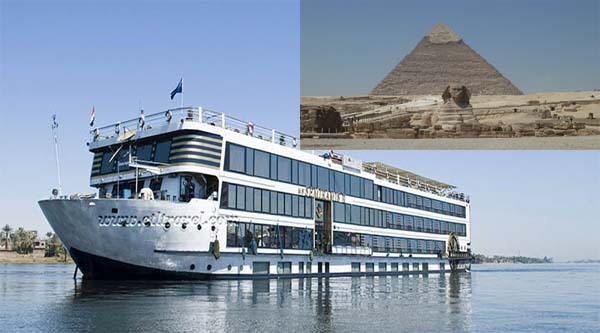 Egypt Nile Cruises Packages and River Nile holidays for 4 Days from Aswan to Luxor is a great way to spend your Egypt holiday discovering ancient civilization, visiting famous temples and cities and enjoying a luxury river cruise. 21:00 pm Pick up from Cairo international airport and transfer to the hotel. Overnight in 4* hotel on BB. 20:00 pm The Pyramids and Sphinx visit. 20:00 pm Arrival in Aswan and meet with the guide. Optionally breakfast in the city. 17:00 pm In the early morning start sailing to Kom Ombo. 21:00 pm Optional in Hot-air balloon ride over Luxor. 16:00 pm In the early morning visit to Luxor temple. Transfer to Luxor airport to fly back to Cairo. Transfer to Cairo hotel and overnight. 08:00 am Transfer to Cairo Airport for departure. Transfers by a/c van to/from the airport to your hotel, cruise ship. 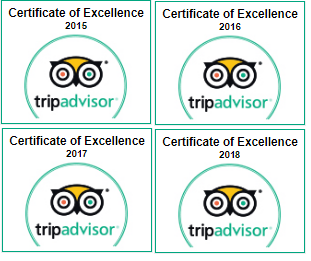 Transfers during all sightseeing tours as per the program. Entrance tickets to the pyramids and sphinx. Edfu, Kom Ombo, Karnak, Hatshepsut temples entrance fees. Valley of the kings entrance fees. Philae island and Unfinished obelisk entrance fees. Hotel accommodation in Cairo 4* on BB basis for 2 nights. Accommodation on a 5* Deluxe cruise ship for 3 nights on FB basis (drinks are not included). Sleeper train tickets Cairo Aswan in double cabin. English speaking Egyptologist tour guide during Cairo tour and Nile cruise. Drinks in the restaurant in Cairo during lunch time. Alcoholic, soft drinks and drinks with meals during Nile cruise. Optional activities in Cairo, Luxor, Aswan and other cities. Abu Simble temples visit by land or air. Nile boat ride in Cairo or Aswan. Entrance fees inside pyramids or paid tombs in Cairo or Luxor. Tipping for all the ship team (can be asked at the end of the cruise app 15$ per person). Our Nile Cruise holiday will start from Cairo. Upon arrival in Cairo our representative will meet you in Cairo International Airport and transfer to a cozy 4* hotel near the Pyramids on BB basis. The day you can spend enjoying the weather near the pool or in the gardens of the hotel. Next day we will dedicate to explore Giza plateau and its famous pyramids. Let's have walking tour around the Pyramids and Sphinx with its Valley temple, have a look inside workers tomb (optional) or enter inside one of the pyramids opened to public (optional). Then we will go to panorama of the pyramids and take amazing pictures of all three pyramids. After lunch in a local restaurant we can get an optional Nile boat ride along the banks of the river and proceed to the Egyptian Museum. Our two hours guided tour of the museum will introduce you not only to the world known artifacts found in the tomb of Tutankhamon, such as his golden mask of 11 kg of pure gold and his sarcophagus, but also you will see a collection of ancient animals mummies, as well as other important artifacts of the museum. In the evening transfer to railway station to catch your sleeper train to Aswan. Upon arrival in the town, our guide will meet you and introduce to the city's historical places, including visit to Philae island, Unfinished obelisk and High Dam of Aswan. Check in your floating hotel afternoon, around 3 pm and lunch on board. Free time at leisure or you can do some optional visits like Nubia Museum, Nubian village or felucca ride around the islands. Overnight on board in Aswan. Four days/three nights Aswan to Luxor Nile cruise holiday on a comfortable 5* deluxe floating hotel on full board basis (drinks are not included) will lead you through ancient cities like Esna and Edfu, Kom Ombo and Luxor. Each city has its history and the main temple to visit. In Luxor upon arrival you will visit East and West banks, Valley of the Kings and famous Karnak and Hatshepsut temples. In the evening spectacular Sound & Light show at Karnak temple is available (optionally). Your last day in Luxor you can do a magnificent Hot-Air Balloon ride over Valleys of the city during the sunrise or spend your morning at leisure before check out. Check out by 12 pm and transfer to Luxor airport to catch your flight back to Cairo. In Cairo our representative will meet you and transfer to your hotel. Free evening at leisure. On the day of your departure our driver will come to pick up you as scheduled and transfer to Cairo International Airport to catch your flight back home.